Another Google Music rumor is making the rounds, but this one, courtesy of the Guardian, seems to have a lot of credibility to it. 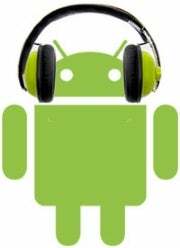 According to the Guardian, Google's music service is less than two months from launch, and will be part of Android Honeycomb, the tablet-optimized version of Google's mobile OS. "If you look at Google Mobile services [via Android] today, there's a video service, there's a music service -- that is, there will be a music service," Jha said. I've gotten tired of hearing the Google Music rumors. The rumor mill's been murmuring about a Google digital music service to rival iTunes since at least 2005, and last year, the Google Music rumors picked up speed, with the expectation that Google would have its service ready for the holidays. But this one seems legit. As for what Google's music service will entail, it's still a mystery, but previous rumors have talked of a digital download service paired with an online storage locker, so you could store songs locally or keep them all in the cloud. The locker aspect could require a subscription fee, perhaps in the range of $25 per year, Billboard reported in September. Apple, meanwhile, is reportedly building its own online music service, either as a digital locker or a streaming, subscription-based service (or both). This rumor, too, has been around the block. Where there's smoke with these rumors, I tend to think there's fire. The tricky part is always the timing. So let's try a vague prediction: Google Music is closer to launch than ever.